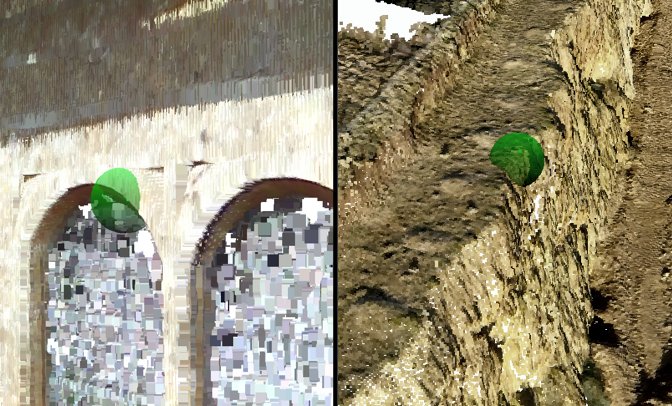 If your method of data collection includes Laser Scanners then LSS Vista with Point Clouds or LSS Elite with Point Clouds will offer you a solution to your topographical, building and elevation surveys. 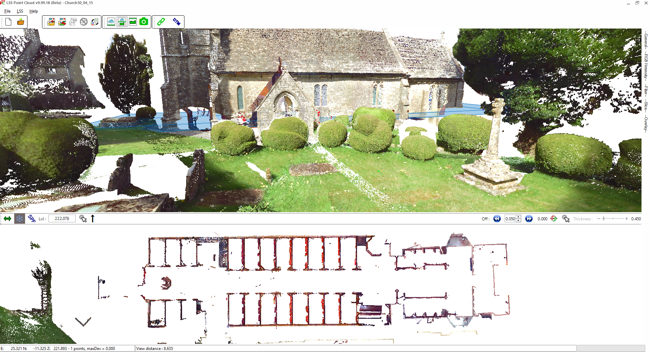 Working from pre-referenced laser scans and imported in a variety of industry-standard formats, the LSS 3D VisionTM application builds a database containing the scan points. Then, when linked to the LSS program it will allow the user to digitise 3D lines and points in 3D and Slice view. These points and lines appear realtime inside the LSS survey and the user is able to digitise from either environment while remaining in the same command. In this way, LSS 3D VisionTM is a 3D digitiser. SearchphereTM technology searches within a user-defined sphere when digitising to extract points which are Highest, Lowest, Mean of all points in the sphere, closest to click, closest to eye, or furthest from eye. EdgeStreamTM technology will identify the intersection of planes in the pointcloud data to allow the efficient tracing of strings. Ideally suited to tracing well-defined junctions in the data, such as walls, kerbs, channels, rails etc. EdgeStreamTM is not a fully-automated process. 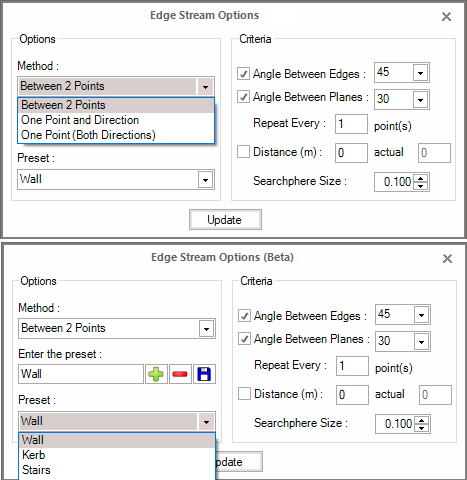 The user will still need to move the SearchphereTM over the edge in the data and using a variety of pre-set parameters 3DVision will attempt to identify the feature and draw points and a string along its edge. Below are the settings which are available. Please note that this technology won’t perform miracles. If the data is too sparse, the features ill-defined or the geometry of the feature not clear then it will not be possible to identify them using this method. In this case it will be possible to use the standard SearchphereTM cursor to manually digitise points and strings.